Sitting on a quiet street in a desirable community this very well built home has ample space for the entire family and guests. The home is much larger inside that what it appears to be from the curb. The 4 levels of living space boasts a finished basement with a full bath and den/bedroom. Second level has a large family room with connected powder room and double doors to the sunroom. 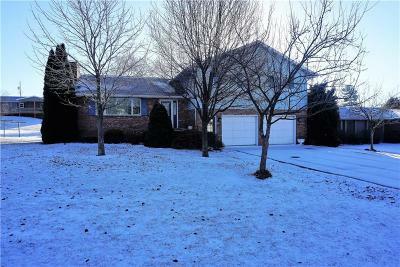 Third level has kitchen with new stainless refrigerator, dining room with double doors to large deck overlooking the fenced yard and a spacious living room with gas fireplace, oak molded walls and picture window. The fourth level has the master suite with jet spray tub and double closets, hall bath and two nice size bedrooms. The fenced landscaped lot has a potting shed/play house. Lots of space in addition to the 2 car attachedââââââââââââââââââââââââ garage.